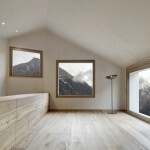 The rising silhouette of the roof gives a slight impression of the upward striving space sequence. 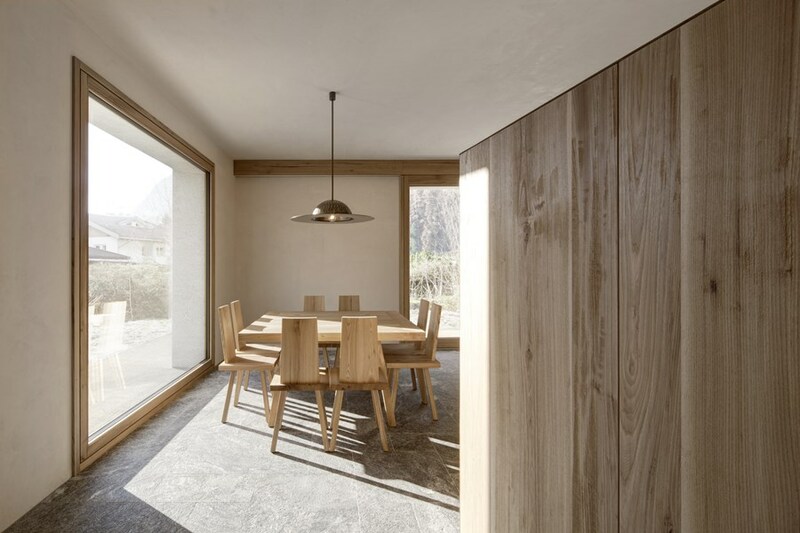 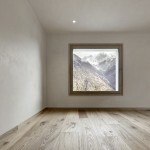 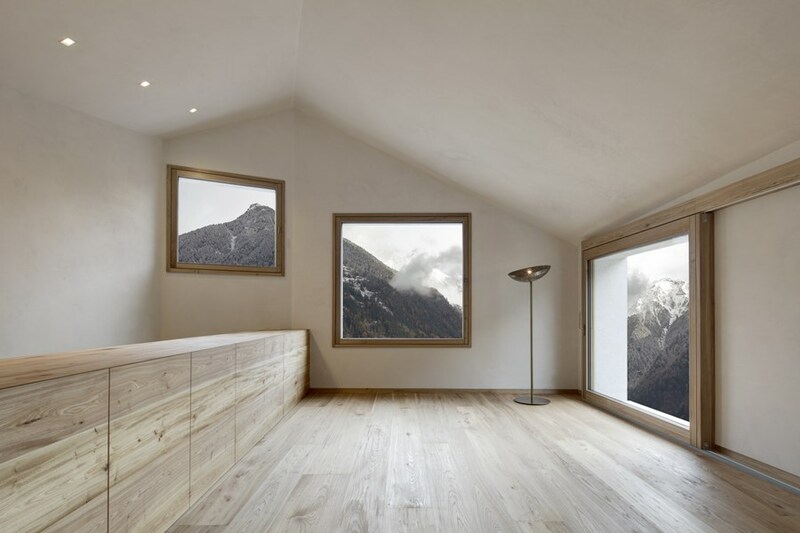 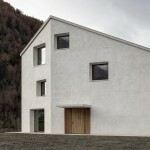 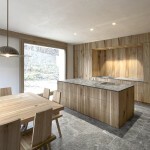 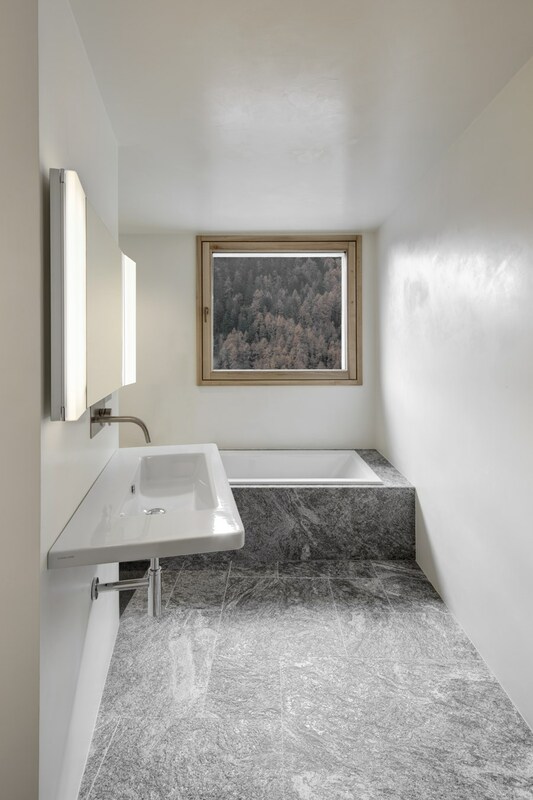 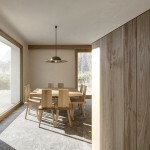 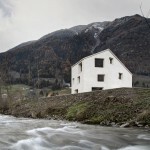 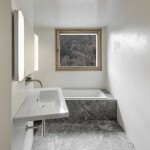 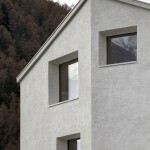 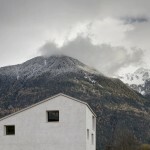 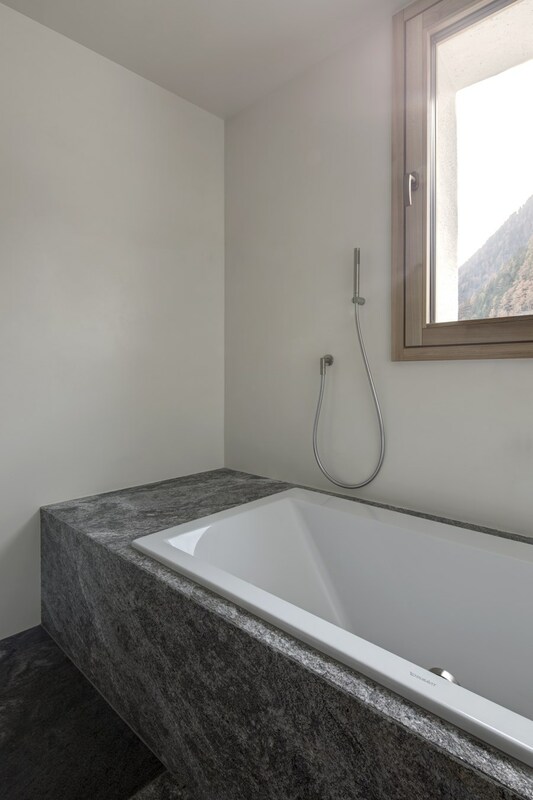 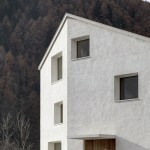 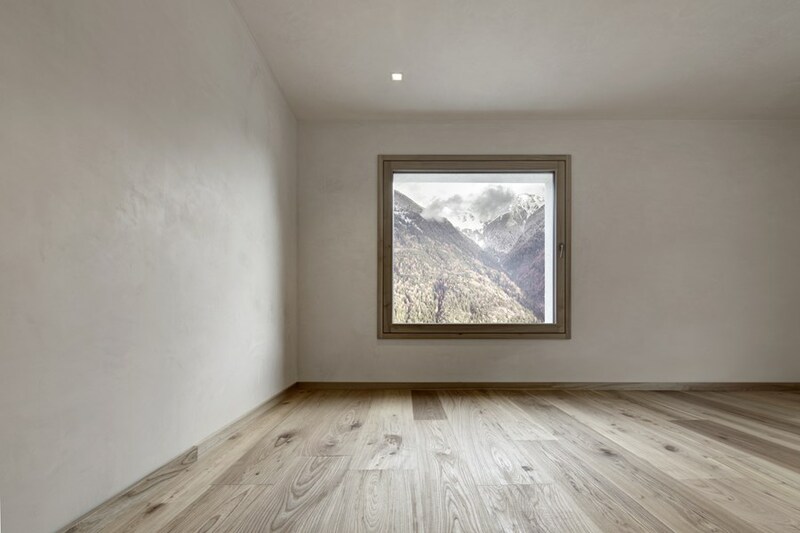 Square shaped window openings in different sizes are referring to significant spots in the surrounding alpine landscape. 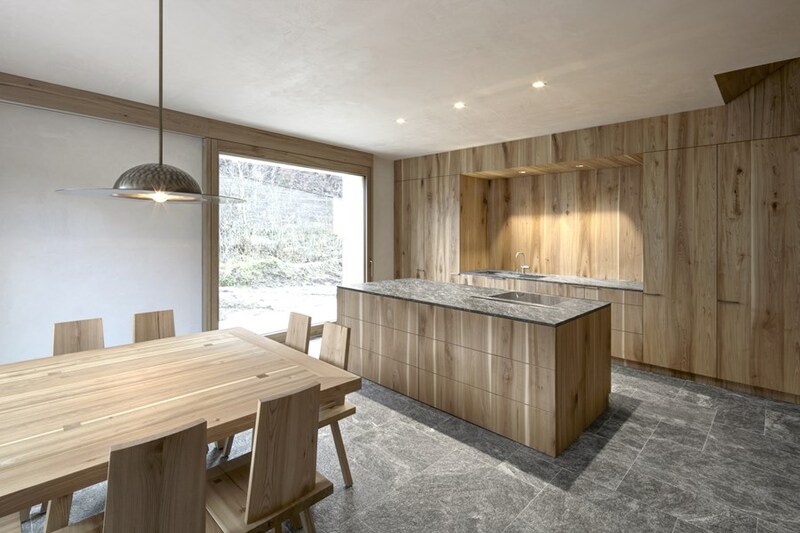 The internal space arrangement is staggered half-level wise, reaching from the cooking & dining zone at ground level to the generous living room in the attic. 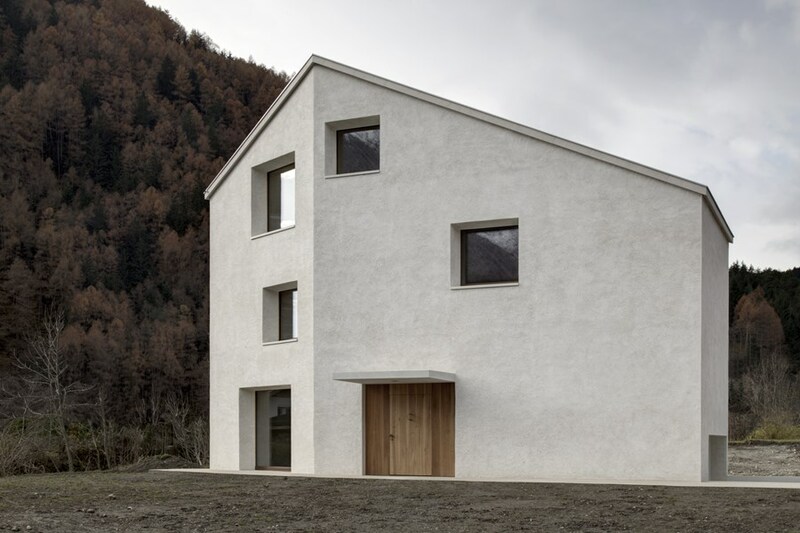 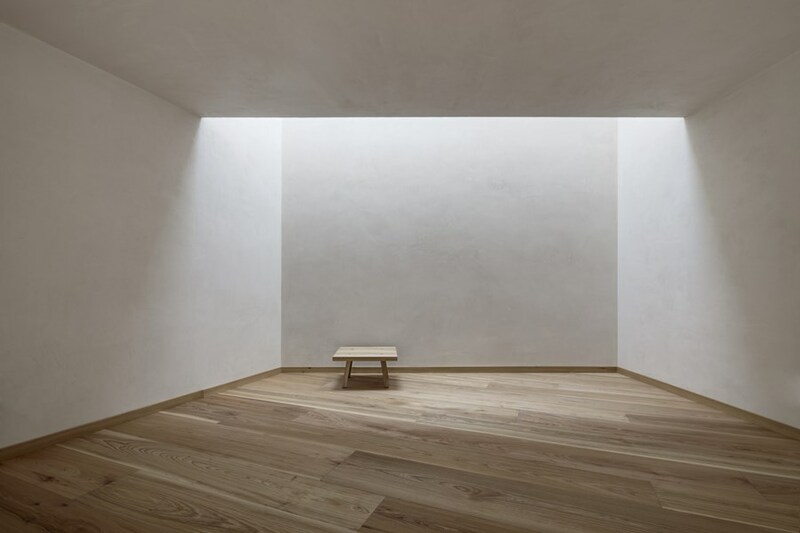 The monolithic nature of the building is emphasized by the choice of uniform materials, such as local sands, chalk and white cement. 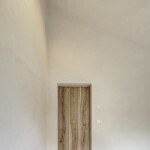 Even the interior was treated with great care and value on artisanal quality and the usage of typical local materials, to ensure the highest requirement in regional virtue: Internal plaster on chalk basis, hand planed elm-wood, passeirer gneiss and blacksmiths-bronze. 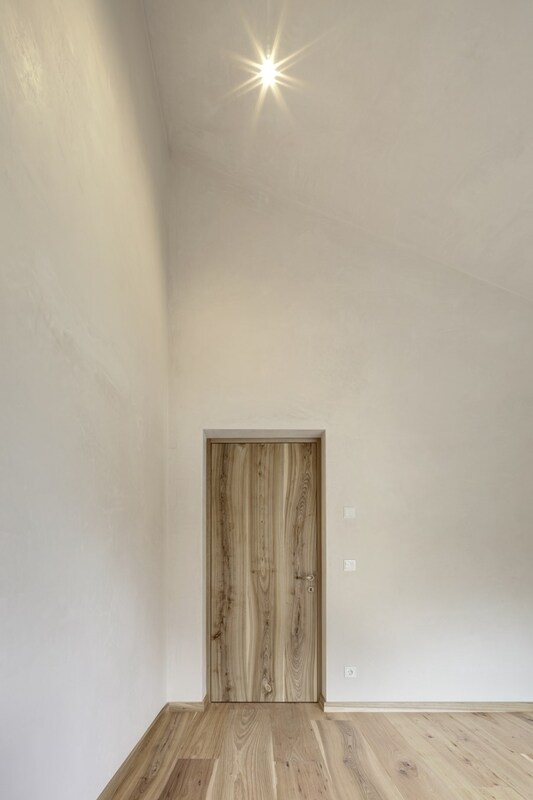 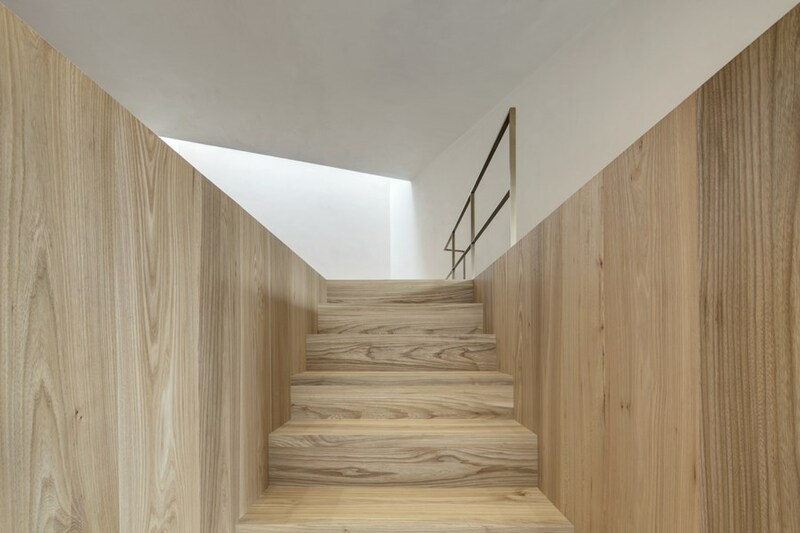 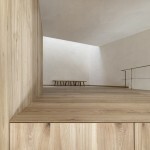 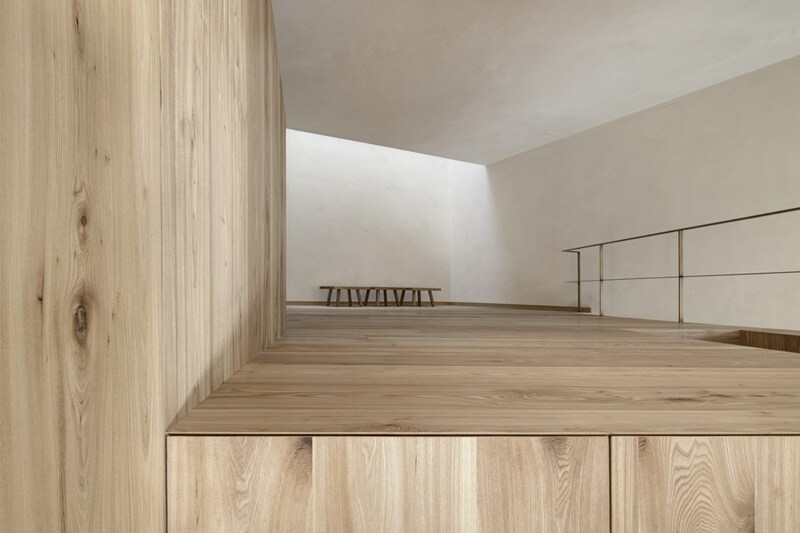 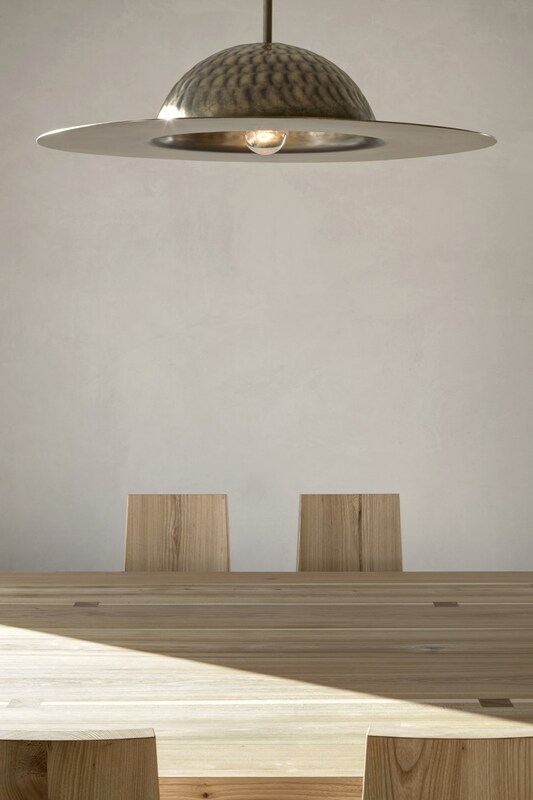 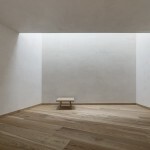 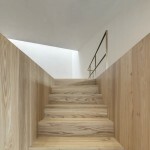 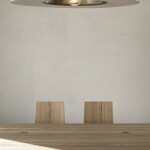 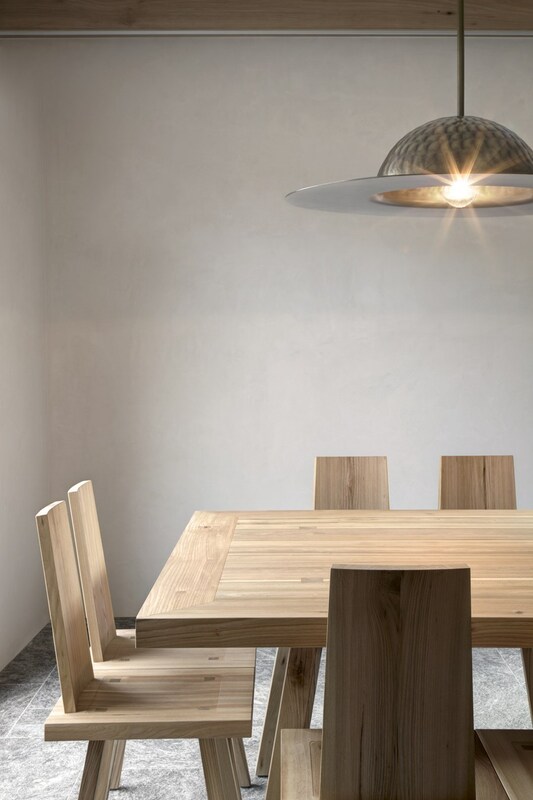 The European elm has also been used to manufacture windows, doors, floors, stairs and individually designed furniture.